Mohite, S., Kumar, S., Maji, S., Pal (India), A. (2016). Production of Biodiesel from a mixture of Karanja and Linseed oils: Optimization of process parameters. Iranian Journal of Energy and Environment; previously called: Iranica Journal of Energy & Environment, 7(1), -. S. Mohite; S. Kumar; S. Maji; A. Pal (India). "Production of Biodiesel from a mixture of Karanja and Linseed oils: Optimization of process parameters". Iranian Journal of Energy and Environment; previously called: Iranica Journal of Energy & Environment, 7, 1, 2016, -. Mohite, S., Kumar, S., Maji, S., Pal (India), A. (2016). 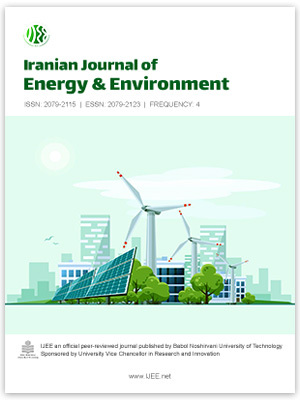 'Production of Biodiesel from a mixture of Karanja and Linseed oils: Optimization of process parameters', Iranian Journal of Energy and Environment; previously called: Iranica Journal of Energy & Environment, 7(1), pp. -. Mohite, S., Kumar, S., Maji, S., Pal (India), A. Production of Biodiesel from a mixture of Karanja and Linseed oils: Optimization of process parameters. Iranian Journal of Energy and Environment; previously called: Iranica Journal of Energy & Environment, 2016; 7(1): -.